We spend a significant amount of time talking about roofs and roofing systems on this blog. However, roofs are not all we do here at Renovations Roofing & Remodeling, Inc. Along with windows and siding, we also offer excellent care for your chimney and other masonry. Masonry is sometimes a big part of your roofing system. Your chimney needs as much maintenance and attention as your roof, as it can be one of the most vulnerable points on your roof. A well-trained crew will not only make sure your roof is in tip-top shape. They will be able to maintain your chimney as well. Your house may not have a fireplace, or it may be an older home that has a chimney that was designed to vent from your furnace. There are a few reasons a working chimney is still very important no matter which system your home has. If your chimney is essentially a vent, it has probably been retrofitted that way. In this case, proper vents on the inside are essential to preventing condensation, moisture, and leaking into your house. Chimneys not connected to a fireplace must still be correctly sealed from the top to prevent leaking into the house. However, a chimney connected to your fireplace has even more components that are important to your home. Your chimney and firebox protect against fire hazards in your house. Even small parts of missing mortar or missing bricks in your firebox can significantly increase the chances of a house fire. You need to have regular inspections to make sure these elements are where they should be. The flue is the whole column of space for venting from the firebox up through the roof. It is one of the most important parts of a working chimney. It typically has a tile liner. While it is possible to use a flashlight to inspect part of the flue, it takes a professional chimney sweep with the proper tools to take a video of the entire length of your flue. Just as with the firebox, a damaged flue greatly heightens the chances of a house fire. Your flue lining protects you even further from fire hazards associated with building fires in your fireplace. The bricks and mortar, as well as the chimney crown and cap, protect your home from invasion by animals and water. 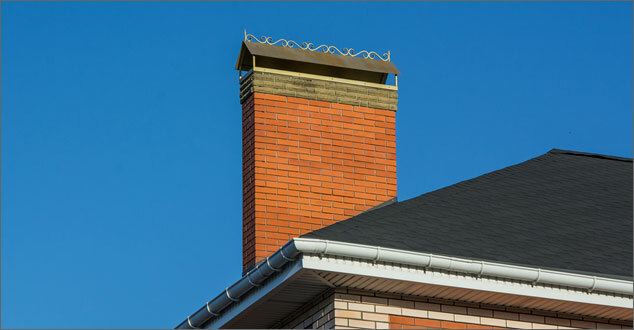 Potential chimney problems include chimney spalling (when bricks fall out) and misalignment. Both conditions are often are costly to fix and are preventable. 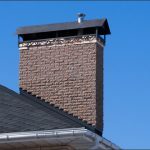 More commonly, chimneys can suffer from cracks to the mortar and to the cement crown that sits on top to protect the space between the bricks and the flue lining. While cracks are a natural part of your chimney settling, it is important to have them sealed by a professional before they get too big and allow leaking. The flashing between your chimney and your roof is essential to prevent leaks. If your flashing is improperly sealed – or if the seal breaks down because it’s getting old – you are headed for major leakage into your roof and attic. Once again, this expensive repair can be prevented by regular maintenance by a professional. Chimney maintenance is one of the most important things you can do to avoid costly repairs to your home. It is always a good idea to hire a company who knows chimneys as well as roofing. If you live in Southeast Michigan and have a question about your chimney, please give us a call. We would be honored help.